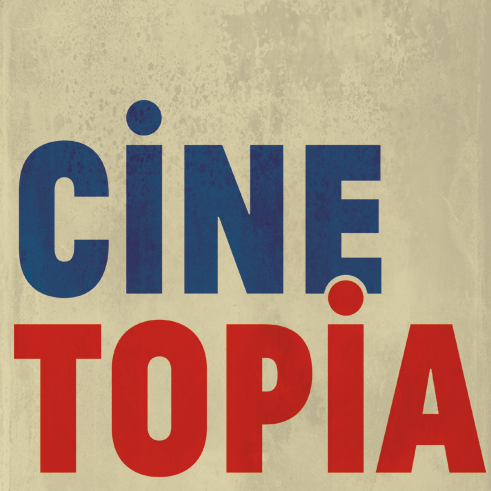 One of Edinburgh Short Film Festival’s newest ventures, Cinetopia, part radio show part cineclub, brings us back to our roots on the Leith shore this Sunday 10th of June! Headed up by the indefatigable, Amanda Rogers, Cinetopia Cineclub is a monthly film meetup dedicated to screening a great variety of films and fostering all kinds of discussion about film with like-minded people. This month Cinetopia is partnering up with Leith Festival, the longest running community festival in Edinburgh dating back to 1907, to screen a short and a feature film in celebration of the upcoming FIFA World Cup. The screening will be followed by pints and a discussion about football and fandom. We’re screening one of our favourite short docs of recent years, OOR WALLY by Martin Lennon, that follows Scotland’s most unique mascot, Wally the Warrior, across an eventful football season. Wally also happens to be Eleanor, a mother of eight and and granny of seven! The feature film for the event will be Ken Loach’s fantastic LOOKING FOR ERIC, a story about Eric Bishop, a middle-aged postman and Manchester United fan, who gets much needed inspiration and support in his time of need from his football idol Eric Cantona. and we suggest showing up early as we hear there might be free FIFA football stickers available for the first comers!